MIT students’ personal account of desert farming in New Mexico earns top honors from college broadcasting association. Angrist, the co-founder of the Botswana-based NGO, Young 1ove, is among the MIT students, faculty, staff, and alumni honored in "the most definitive gathering of today’s leading young change-makers and innovators." The Gulbenkian Foundation of Portugal has awarded MIT historian Lerna Ekmekçioğlu and MIT visiting scholar Melissa Bilal a $20,000 grant in support of their book and a companion website project on feminism in Armenian. The project's ambitious digital humanities component is being developed in collaboration with the American University in Armenia’s digital library and MIT Libraries’ Digital Humanities section. The MIT Election Data and Science Lab — the Election Lab for short — aims to improve elections through non-partisan research, data, and evidence-based analysis. Founded by Charles Stewart III, the Kenan Sahin Distinguished Professor of Political Science at MIT, the lab will address multiple audiences of academic researchers, election practitioners, and the general public. It will serve a unique and independent role as it applies scientific principles to empirical questions about the administration of American elections. “In the midst of a policy area that has become hyper-politicized, we aim to provide a counterbalance of hard evidence and analytical thinking," said lab founder Charles Stewart III, Kenan Sahin Distinguished Professor of Political Science at MIT. “The Election Lab will serve as an international, nonpartisan resource." MIT leadership is helping directly-affected community members; President Reif speaks against the executive order and for national unity. MIT’s international students, postdocs, and researchers can contact the International Students Office and the International Scholars Office for immediate assistance. Members of the MIT community with legal questions about this situation can contact the Office of the General Counsel. All of these offices stand ready to provide direction and assistance to members of the MIT community who are in need of help. Author and executive producer Margot Lee Shetterly explores inspiration for the film; MIT guest speakers provide additional historical context. The city offers an ideal home for MIT SHASS alums whose work spans disciplines and continents. Meet Noam Angrist ’13, a Rhodes Scholar who shuttles between the U.K. and Botswana; Elaine Chew, SM ’98 PhD ’00, an accomplished pianist and professor of digital media at Queen Mary University of London; and Huma Yusuf, SM ’08, an associate director of a firm that consults on political and cultural issues in the Middle East and Africa. 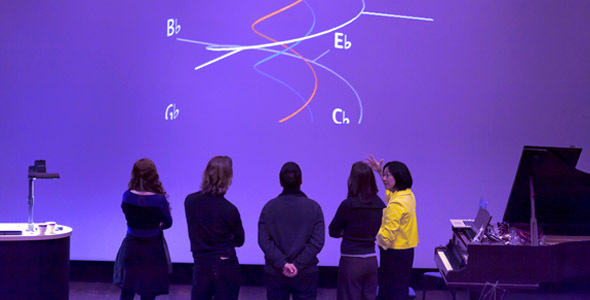 Elaine Chew describing her spiral array model to other composers. “This is one of the few places in the world where I can do both music and science professionally,” says Elaine Chew SM ’98 PhD ’00, an accomplished pianist and Professor of Digital Media at Queen Mary University of London. The Game Lab — an MIT SHASS research group — along with Bayview Labs and the Seraph Group announce funding, facilities, and mentorship for startups focusing on virtual, augmented, and mixed reality. Sophomores and juniors who excel in the HASS and STEM fields are honored. MIT senior leads diverse projects to help women and students in developing countries. Counterterrorism policies can have serious unintended consequences. In this interview, Nielsen discusses the "cognitive biases that come into play when we try to evaluate the risks posed by terrorism as well as the trade-offs of various counterterrorism policies." Nielsen's current book project, Deadly Clerics, explores why a minority of Muslim clerics adopt the ideology of militant Jihad, while the great majority do not. Detail, Sultanahmet Mosque. Islam emphasizes worship, family, generosity, honesty, peace, forgiveness, and service to humanity. At MIT, it’s amazingly easy to find an engineering student preparing for a role in a Shakespeare play, a history student writing a script, or a young computer scientist crafting a high-tech theater set. In her first two years at MIT, Assistant Professor of Theater Charlotte Brathwaite has observed certain characteristics that the Theater and STEM fields have in common. "In theater, as in the STEM fields, we imagine the impossible and try to make that possible. We not only imagine, but create the world as we think the world should be. As a result, theater can be a vehicle for addressing major issues, from street violence to climate change." "Today we are coming to discover that contemporary democracy has its own soft underbelly — not so much a weakness against a cabal of colonels conspiring a violent takeover of government, but the gutting of state institutions and the incipient establishment of a variant of personal rule...We have to keep reminding ourselves...that the future of our much cherished institutions depends not on others but on ourselves, and that we are all individually responsible for our institutions." Amid the many controversies attending the election of Donald Trump is one easy to overlook: the mounting assault on “public goods” — public education, public lands, public information and public health, among them. The worldview of Trump and those he’s bringing into government is one in which seeking private interest is paramount, not only as a business aspiration but as a governing ideology. Of all the attitudes of the new administration, this may be the most threatening to democratic practice. Few things matter more than fixing failed states. Broadly defined, state failure provides “a general explanation for why poor countries are poor,” argue Daron Acemoglu of MIT and James Robinson of the University of Chicago in Why Nations Fail. In September, a reproductive endocrinologist and his team captured the world's attention when they announced the birth of a child to a mother carrying a fatal genetic defect. But for all the accolades, the method also has scientists concerned that the fatally flawed mitochondria can resurface to threaten a child's health. WGBH talks to Jim Walsh, Senior Research Associate at MIT SSP, to analyze President-elect Trump’s first press conference in nearly six months. Narang, an MIT nuclear weapons expert, said China would build up its own abilities, but worried that it would seek a quicker fix as well. China might preload nuclear warheads onto missiles to shorten its response time, Narang suggested. Narang, an MIT political scientist, said Trump's phrase “puts the onus on the world” to change its nuclear policies first. This premises Trump's nuclear policy as designed to coerce other states to take action, but leaves enough room that he can continue this policy “until pigs fly,” Mr. Narang said. This forces other states to guess at the quid pro quo, without knowing for sure whether America would respond in kind. Because the West is strong, and relative to Russia likely to get stronger, it is in a position to accommodate some Russian concerns. Myth No. 1 is that vaccines cause autism. They do not. But once unleashed, a myth can be hard to rein in, says Seth Mnookin, director of the MIT Graduate Program in Science Writing, and author of The Panic Virus: The True Story of the Vaccine-Autism Controversy. "This idea has been set in people's minds," Mnookin says, "and it's going to take a while to overcome it." “The emotional nature of the treatment decision may be important in explaining high and sometimes heroic end-of-life health care spending,” said MIT economist Amy Finkelstein. MIT health economist Jonathan Gruber discusses the possible repeal of the Affordable Care Act (ACA). What path will inequality take under the policies of a President Trump? CityLab reports on research by MIT economic historian Peter Temin, who argues that the “Dual Economy” — with high income individuals at one end, few in the middle class, and many low-wage workers — will only become more extreme. "The new jobs panic is exaggerated and misplaced. For one thing, political and social caution may block some of the potential uses, such as self-driving cars. For another, many jobs will continue to require a blend of skills, flexibility and judgement that is difficult to automate. MIT Economist David Autor argues that such employment requires tacit expertise that cannot readily be codified." NPR explores the term “politically correct” with insight from MIT Professor of Literature Ruth Perry, who describes the term’s current coinage and its rising stature from the 1990s through the present day. Perry has written about the moment the phrase took a turn toward its most common contemporary usage: a rebuttal to the ideals or practice of diversity. MIT historican Christopher Capozzola talks about some ways that he helps his students think like historians through comparison and critical engagements with seemingly stable ideas like the Cold War. Hendershot, an MIT professor of film and media, speaks on BookTV about her new book, Open to Debate: How William F. Buckley Put Liberal America on the Firing Line. "My suggestion focuses on the possibility that our institutions are fragile and will be under attack and we have to learn from Weimar to protect ourselves from authoritarianism. Before the Deluge: A Portrait of Berlin in the 1920s by Otto Friedrich is very readable and includes the cultural and scientific life Hitler destroyed." The paper, by MIT economist Daron Acemoglu and Pascual Restrepo of Boston University, argues that aging populations have not had a negative effect on the growth of per-capita gross domestic product. In fact, some aging countries have seen faster growth. The answer, they argue, might have to do with robots. MIT champions the power of STEM + SHASS for research and for educating great engineers, scientists, scholars, and citizens. Making a better world — Generating solutions for the great challenges of our age requires both advanced technical and scientific knowledge and a deep understanding of the world's human complexities. MIT-SHASS researches and advances the cultural, political, and economic dimensions of innovation — the broad range of human realities, from deeply-felt cultural traditions to building codes to political tensions, in which science and technology issues are embedded. Excellence — In 2015, MIT's Social Science disciplines were ranked first in the world, and MIT's Humanities and Arts disciplines were ranked among the top three worldwide. 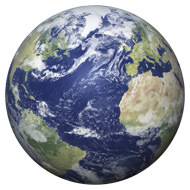 Research with a global impact — The MIT-SHASS research portfolio is vast, including anthropology, comparative media studies, economics, history, international studies, languages, linguistics, literature, music and theater arts, political science, philosophy, security studies, and writing, including science writing. Education that empowers — The School teaches every MIT undergraduate, empowering students with cultural and historical perspectives, and critical thinking and communication skills — to help them serve the world wisely and well. The School's seven graduate programs are all recognized as among the finest in the world. Cultivating leaders — SHASS has a central role in international education at MIT, and in preparing students for leadership at home and on international teams. Through all their SHASS coursework, and in MISTI, the School's pioneering applied international education program, MIT students learn how to work, collaborate, and thrive in cultures around the globe.